After Defeating the Raptors, Cavs Still the Best Team in the East? 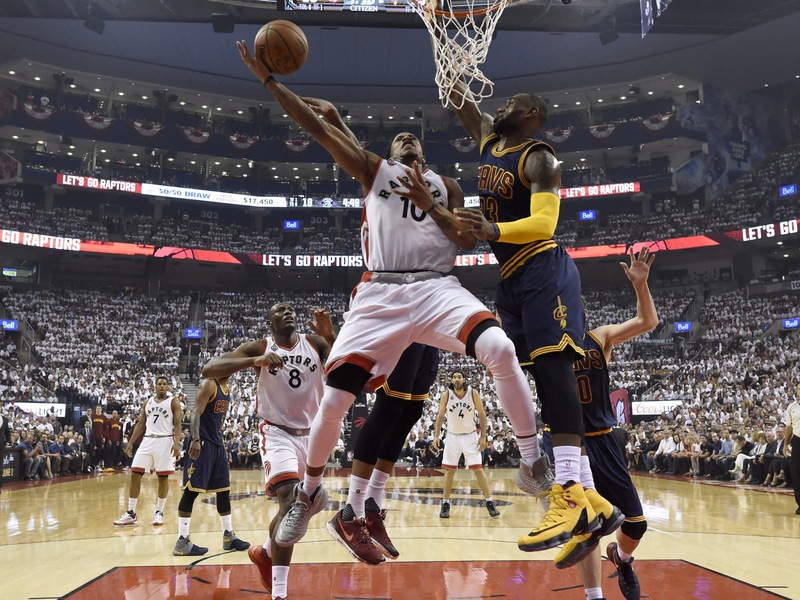 NBA – The Cleveland Cavaliers fought back in a come from behind win over the visiting Toronto Raptors in their second to the last final match of the season at Quickens Loans Arena in Cleveland, Ohio. The defending Eastern Conference Champions rallies back in the 2nd half of the game after being down by 15 points, LeBron James lead the Cavaliers in another big game dropping 35 points, 7 rebounds, 17 assists and with 0 turnovers in a 132 – 129 win over the East best record and top seeded team the Raptors. In the 1st quarter, the game was in tight contention both team is playing great basketball, but it was the Cavs that outscored the Raptors 42 – 38 in the early quarter but in the 2nd quarter the Raptors changes the mood of the game as they started to full away outscoring the home team 41 – 22 to end the 1st half 79 – 64, Raptors up by 15 points. In the 3rd quarter, the Cavs made a big run that cut the Raptors lead into single points as the quarter ended to 99 – 98 Raptors by 1 point. In the 4th and final quarter both teams are toe to toe but LeBron James was too much for the visiting team as the Raptors bow’s to the king and the Cavs to avenge their worst loss of the season in the hands of the Raptors just last Jan 11, 2018. LeBron James also made another history in the game itself as he tied his most assist in a single game of 17 assists, which he did it thrice this season while the 0 turnovers might be the first time of his entire career? The Cavaliers win over the top seeded Raptors, might give many speculation on who’s really the team to beat in the East? Is it the Raptors who had the East best record this season? Or the Cavs that are currently 3rd in the East but has the best player in the world in the name of LeBron James. The two are scheduled to meet again in their final match of the regular season on April 3, 2018 (US TIME). No Comment to " After Defeating the Raptors, Cavs Still the Best Team in the East? "